So you want to be a full-time microcap investor? Perhaps you are focused on making your first million? In either case you are focused on growing your capital at high rates of return. But are you emotionally ready for the pain? Do you have the stomach for it? Volatility in multi-baggers is normal as influxes of capital move and shake the stock price. Similarly, most multi-baggers will have long periods of stagnation as fundamentals backfill, old shareholders get bored, and new shareholders enter. The key in developing the conviction to hold is to have a long-term focus. This long-term focus allows successful investors to disconnect emotion from investment decisions so they can differentiate business performance form stock performance. The thought process of, “The stock is down 20-30-40-50% from its highs, but the business hasn’t changed, so I will hold”, is the psychological-emotional state an investor must get to when holding great businesses. Stock performance is rarely linear. It can take two years for a position to go up 400% in six months. Unfortunately, this type of conviction to hold can only be fully developed through experience. Over the last year I’m down 40% in one of my largest positions, but the story hasn’t changed, so I will continue to hold. Ten years ago I wasn’t able to disconnect stock performance from business performance. The rough volatile seas of the market would have easily thrown me overboard. An investor must experience the highs of success and lows of failure several times before they can exploit these emotions in others, but let me offer some advice that will hopefully shorten the learning curve. We all want to get rich quicker, and this desire is our biggest impediment. Often times we have already envisioned spending our returns before we achieve them. “These stocks should double in a year, and when that happens I will buy xyz”. Our returns are linked to consumption. The first step to turning small money into big money is realizing money is about freedom not consumption. Don’t obsess about the goal. Focus on the things you can control like your actions and behaviors. Successful investing is extremely difficult because it’s one of the only life endeavors where you often times don’t receive short-term positive feedback. For example, lets say you want to lose ten pounds over the next few months. You are in control of what you eat and how you exercise. So you change your eating habits, add exercise to increase your metabolism, and on a weekly basis you can track your progress. The pound or two you lose each week gives you reinforcement and encouragement to keep going. Rule #5: While I much prefer a five-year test, I feel three years is an absolute minimum for judging performance. It is a certainty that we will have years when the partnership performance is poorer, perhaps substantially so, than the Dow. If any three-year or longer period produces poor results, we all should start looking around for other places to have our money. An exception to the latter statement would be three years covering a speculative explosion in a bull market. Once you understand your yardstick then you get rid of all distractions that promote short-term thinking. Turn off the noise. Why? Because to beat the market you can’t think like everyone else and be manipulated like everyone else. Only listen, read, follow, take advice from those sources that make you better. Stay within your circle of competence and know your positions better than most. Spend twice as much time knowing what you own versus new ideas. What you don’t own can’t hurt you. If you don’t have much experience investing through turbulent markets, then prepare yourself mentally. I’ve invested through two bear markets, one when I was just Getting Started and the second when I was a full time microcap investor. Even though I’m not inexperienced, I still like to test my psyche with mental exercises. When my portfolio is “beat up” and I’m feeling drained I like ask myself: “What if I wake up tomorrow and my positions are all down another 25%?” I think to myself… I will quickly check and see if anything material had changed in the businesses I own. If nothing has changed I will hold or buy more. If something did change, shaking short-term investors, but was immaterial against my 3-5 year long-term expectations then I will hold or buy. If something did change and it’s material against my 3-5 year long-term expectations then I will evaluate and may sell based on its severity and the company’s current valuation. This exercise is most crucial during bad markets and/or when your positions aren’t doing well. Don’t hope for the best, prepare for the worst, and have a mental framework or plan. Famous hedge fund manager and trader Paul Tudor Jones would call this “writing a script for the market” which would help give him the correct mental state. Don’t concentrate on your investing goal, focus on your actions and behaviors. The most valuable action for any investor is reading. Have you ever noticed that great investor’s offices are filled with books, not computer screens? Becoming a learning machine helps you connect the dots and develop mental models for better faster decision making. You can read about great investors, intelligent fanatics, or other broad subject matter. Reading also keeps your eyes off the flickering lights of the stock market. Keep your body active. A recent study by Berkshire Hathaway’s subsidiary Brooks showed 83% of respondents agreed that they come up with their best ideas while running. You also need to keep your spirit happy. Whether it’s meditation, prayer, or whatever .. sitting in a quiet place without any distractions is a powerful way to clear your mind. Although my wife says I have no problems clearing my mind 🙂 When your body and spirit are happy, your mind is happy. In conclusion, if you want to make big money focus on the long-term and develop the conviction to stomach volatility. The best performing companies ever had extreme stock price volatility. Experienced individual investors should always have an edge over those managing other people’s money because they only have to manage their own emotions and expectations. Over time you’ll be able to disconnect stock performance from business performance. If you are invested in great businesses and the story hasn’t changed, don’t let volatility and lulls in stock price scare you out of your positions. Measure your performance with a yardstick not a ruler. Get rid of everything and everyone that promotes short-term thinking, and create a balanced lifestyle anchored in reading, exercise, and meditation. I have a high capacity for pain. I am attracted to uncertainty (danger) like many artists, boxers, extreme mountaineers and whitewater kayakers. And special forces soldiers. I don’t think of these characteristics, especially in combination, as having been to my advantage. They are dangerous to our financial health. I’ve worked really hard at trying to devise a system to counteract these tendencies of mine. Exceptional companies are by definition rare. Holding exceptional companies through ups and downs is rewarding. Holding mediocre companies through ups and downs is dangerous to your financial health. The way below average companies are in general not a problem — they become obvious to any investor with even a minor amount of skill — and can be purged. But the mediocrities sap your strength, your will, your ability to take advantage of the really good situations. An investor needs to guard against needing to prove to the world that he or she is right. Do you want to make money or be right, prove yourself exceptional? The cautious investor, aware of his or her own fallibilities, willing to admit mistakes, willing to close out a position an reanalyze it from a more detached perspective is likely to outperform the overconfident investor over time, I suspect. There’s just too much that is partially or totally unpredictable in investing. I’m in the process now of looking at lots and lots of companies — companies with the biggest sales increase in the last 12 months, companies with the best stock performance in the last month, companies highlighted in Forbes and Fortune as the fastest growing, most innovative companies. When I look at their financial statement trends, I’m finding companies with lots of problems not obvious to the casual observer, mostly. Lots of mediocrities, lots of flash in the pan that is not gold. • Companies with little or no debt. • Companies that are profitable, even if only marginally. I notice a basic bias in many of the comments on MicroCapClub that from the perspective of financial statement trend analysis seems unjustified to me — ie XYZ company is exceptional. In other words, the bias is that the market is more volatile than the company is, and the recent stock price weakness is therefore irrelevant to long term performance. That or the small cap stock market is weak, and as a result XYZ company’s stock price is falling, but it remains an exceptional company. Even more dangerous — admittedly XYZ is a mediocre company but over time I believe it will become exceptional. Sometimes that is justified. The market is more volatile than actual company performance. 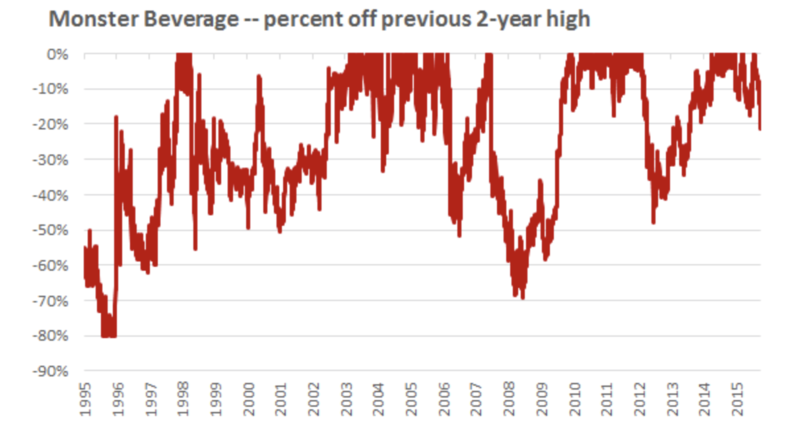 And the small cap averages have been weak for a protracted period. But the exceptional investor also carefully considers the contrary view — this company is actually mediocre, or this company used to be exceptional and now is mediocre. For whatever reason. Aging, complacent management, changes in technology, changes in competition. Financial pressures on customers. Things can go wrong for lots of reasons. Exceptional companies that maintain their edge over extended periods of time are rare. Exceptional investors are rare. (Yes, I know, I’m repeating myself). I guess I’m trying to make two points. Just because you or I own a stock and it is going down, doesn’t mean that you are right and the market is wrong. And second, and perhaps most important, because as Ian and the 100 Bagger books point out, exceptional companies go through occasional (and sometimes more than occasional) periods of stock price adversity there is potential in the strategy of (1) knowing which companies over the last five years have the ideal combination of low debt, high return on capital and high sales growth, and (2) following them until they stumble, either because of temporarily adverse financial results, or mediocre results, or because of market conditions. The question facing the investor in these companies becomes the relatively simple one of: Is this company still exceptional? Simpler that is than trying to pick out failed companies that may one day improve or mediocre companies that will become exceptional. Simple in concept but still difficult in execution. I don’t run but I walk in the woods for an hour almost every day. Lately a passage from an obscure book has been coming to mind a lot during those walks from the book DERSU THE TRAPPER (Kirosawa made a film of the book, Dersu Uzala). It is about a Russia officer in pre-Soviet Russia leading a surveying expedition in Siberia. He encounters a native Trapper and the two build a close friendship. Anyway, the section on my mind has to do with them out hunting for food. Dersu comes across some tracks and points them out to Arsenyev, the officer. Arsenyev can’t see them. To him, the place Dersu is pointing is no different from the forest floor all around them. A bunch of leaves and sticks. Dersu gets frustrated. What do you mean you can’t see them? The tracks are there, plain as day to any common fool. As investors we are looking for subtle clues. As long term investors we are looking for subtle clues as to whether or not this company, whose stock has been weak after an extended period of strong performance, is still exceptional. Well that, and are we, as human beings, able to admit we’re wrong. Rod, thank you for your thoughts. I liked the sentence by you below. It sums it up quite well and it’s actually how I’ve changed over the last few years even on our Members Forum. I enjoy talking stocks but I tend to “defend” my positions less and less. I think you are truly an investor when you don’t need to prove how smart you are…the market will decide that over time. This is one of the best article about controlling emotions which follows during the course of your Long term holding of stock. Thank you Suraj, glad you enjoyed it. I don’t think that a NO PAIN, NO GAIN strategy should be considered widely applicable to all investors. I believe it to be a strategy for a select investor segment, but not all. Also, it stands in the way of an alternative strategy that is the basis for more risk adverse investors: risk management. One prominent MCC member seems to hold an opposite opinion that leads him to be a short term holder when it is applicable and to exit when share price does not go his way. In my view, risk is managed by exiting when appropriate. That said, there are limiting circumstances. If one has a very large position in a company, it is simply too hard to get out and thus, by investor choice, have positioned oneself to be a long term holder and ride out ups and downs. If one chooses to have smaller positions, more in keeping with a modest % of ADV, then that investor if more able to exit positions – reducing his pain. I agree that being well aware of one’s investments and knowing them inside and out is valuable, that often flies in the face of overall market sentiment that pushes the share price down for no obvious reason. Also, when an overall existential impact arises, e.g. current oil issues, isn’t it more wise to exit and then re-buy when the issue turns into a value play. There is much to be discussed on this topic and each investor should have a plan, but that plan should be consistent with “how much” pain the investor can tolerate, and thus, how best to implement a risk (“pain”) management plan. Every plan should be investor specific. When an investor implements a plan that is applicable to others (possibly due to sentiment bias), that IMO leads to trouble. Kevin, position sizing certainly isn’t one size fits all…it really depends on your personality and strategy. Regardless I believe scaling into positions over time is a good strategy, combined with really knowing your positions better than most (which I know you do). Volatility always happens because of swings in investor sentiment in illiquid microcaps. When some negative news event ultimately hits you need to know the difference between a glancing blow and a knock out punch to your investment thesis. I think it’s a normal expectation that, if you have a great company, you’re going to have great ROI. And when, because of what other investors do, that doesn’t happen, you question your own evaluation. “What do they know that I don’t?” So you really have to know the prospects of the business. But that is a knowledge that’s a lot more knowable than market sentiment. That’s a big reason why (with an advisor) I find small-cap investing more appealing. Thats right Bob. The key is knowing your positions better than most. Volatility is a great friend of long term investor. If the market is stable, amid moving in a narrow range, market participants(or robots to come extents) drive the market sometimes to the extreme. 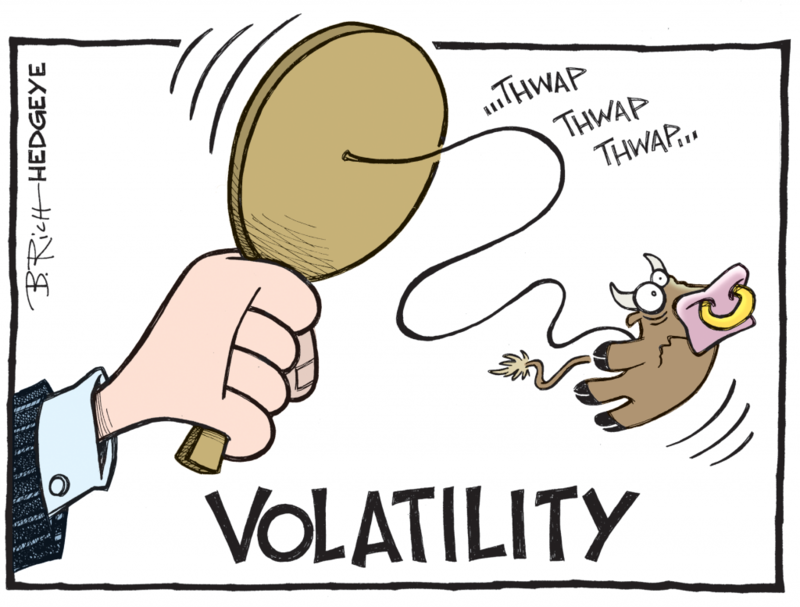 However, volatility coupled with uncertainty brings the valuation to the ground resulting in the severe price correction. This present an opportunity for the person who is looking for great bargains as you have mentioned above. Price correction to the tune of 40 to 50% is not exceptional in stocks. Yesterday, Warren Buffet said on CNBC that Berkshire Hathway was down more than 50% , three-time after he bought it. I think it is not difficult to imagine what Mr Buffet would have done? Hi Ian, I have a question that is unrelated to this post and it is about board composition in microcap companies. Maybe you can write a blog post on this topic, but what is your opinion on boards where independent directors do not make the majority of board members. This seems quite prevalent in microcap companies and most of them don’t even have that much board members in the first place as compared to say a Fortune 500 company. William, thanks for the topic recommendation. I’ll give that some thought.